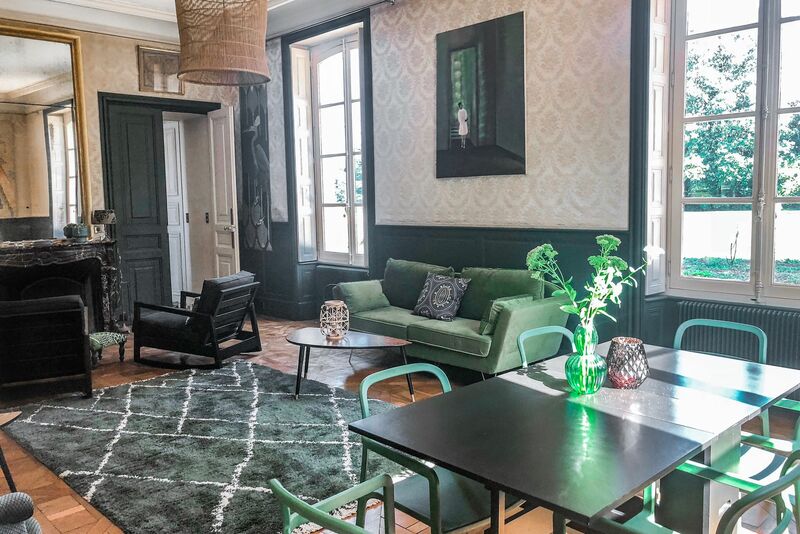 If you have any questions or want to enquire about dates, use our form to contact Marie-Laure Heuzey or see their website for more information. 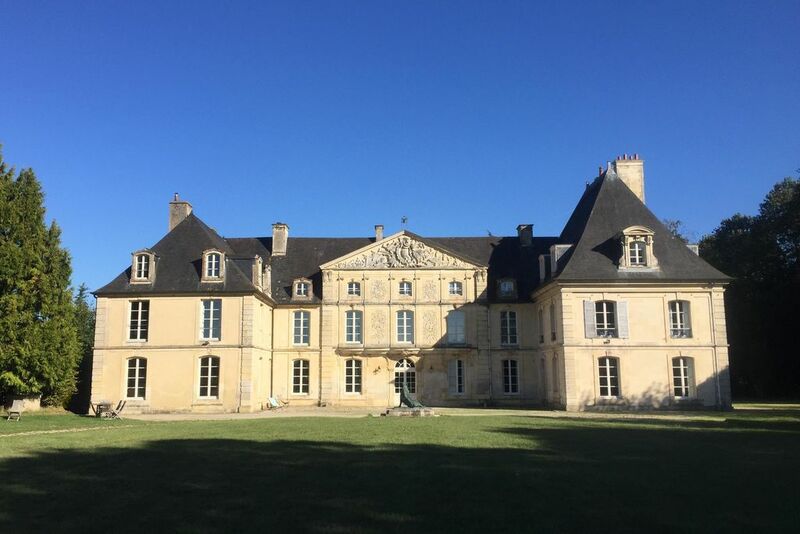 An elegant Pierre de Caen stone château surrounded by 11 acres of grounds. Guests stay in their own wing and your host lives in the opposite one. A long staircase leads to two double bedrooms and a family apartment for four. Take one or take them all for a special family gathering – you will love the room with the cavernous en suite and the claw-footed tub and fresco. Assemble in the salon for breakfasts of fresh pastries, just-squeezed orange juice and cakes with apples from the garden, or in the snug for quiet evenings in front of the television. Ramble outside – there’s lots of grass for boisterous offspring, a little stream, a walled orchard with roaming hens and a fenced-off lake with a boat. Bring the car to explore the villages, and head to the coast to stroll along the landing beaches or the streets of ritzy Deauville and Trouville-sur-Mer. Caen is a mere 20-minute drive – great for Channel crossings. The suite's twin room can also be booked separately for €90. 1 January - 31 March. Simple, stylish and contemporary accommodation with a few stunning features punctuating the stern stone chateau backdrop. Very spacious grounds with lots of run-around grass – perfect for young families and boisterous offspring. The stream, lake and picturesque estate farm outbuildings can be explored – everything feels elegant and airy. Marie-Laure is very pleasant, unassuming, and provides a gently attentive welcome. I’d love to stay here. The château is reached by a long, pleasant drive along an avenue of tall trees. 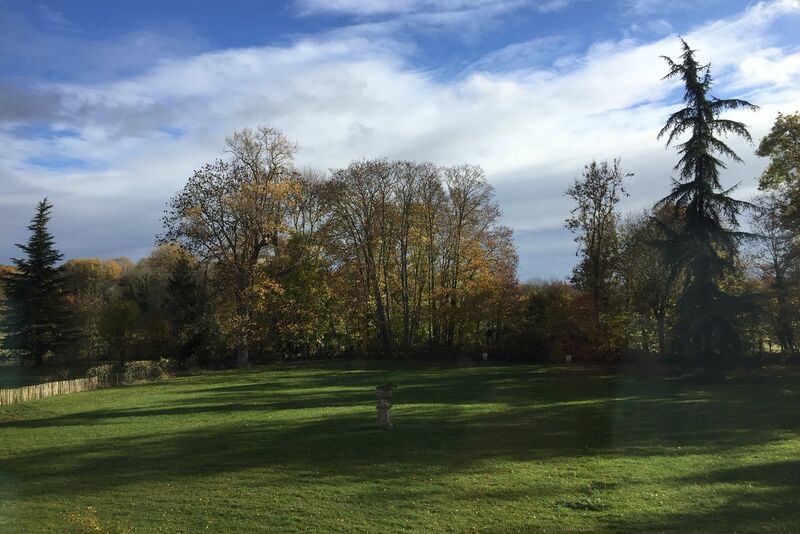 All around are fields and farmland, quiet pastoral villages and Normandy’s apple orchards; nearby you can visit châteaux, gardens and war memorials. The village of Cesny-aux-Vignes is small but there are more excitements to be found in Mézidon-Canon, 10 minutes away, where there’s a pharmacy, shops and restaurants leading off from a central circular square (Le St Pierre comes highly recommended). Enjoy local and typically Norman specialities at Madame’s afternoon tea with homemade pastries or an aperitif by the fireside after a long day exploring. In each room you’ll find a Nespresso machine, equipped with good quality coffee capsules and tea! The most beautiful beach on the Normandy coast is 30 mins away and Bayeux isn’t far either! You’ll love Mont Saint Michel (1h30) Caen and the Beaux Arts museum just 20 mins away, as well as the landing beaches and fascinating Le Havre! A beekeeper, who has his hives on the property, can show you the tricks of the trade! Just put on the suit and go down to meet the bees (pay and book in advance). Why not hire our 2 bicycles or take a little tour on the lake in our rowing boat? For the little ones, the owner promises to show them her ducks, her 5 adored chickens and her little rooster saved from the slaughter. Don’t forget her sheep and lambs, coypus and 3 cats! Marie-Laure is no stranger to Sawday’s – prior to buying Château de Cesny aux Vignes she ran a B&B in Normandy. Though hailing from Paris, she enjoys the quiet life in the country and her grown-up children often visit from the capital. Along with her three cats and cluster of hens Marie will welcome you warmly.